The Station books are part of a YA/NA Fantasy series that follow teenage anti-heroine, Piper Willow, after she dies and wakes up in the afterlife and is offered redemption – in the form of a job. The first book in this bestselling series is FREE for all eReading devices. Don’t have a Kindle or Smartphone? No problemo. It’s currently published in print, as well as in audio form. Loved the the station series can’t wait for more. Getting ready to start the find series so are a great writer thank you. Thank you so much for reading, Linda! I just finished these books and they were amazing! They are the kind of books that make you cry, make you think, and make you look at life a little differently. They were pretty profound for me. Will there be more? Awesome! Thanks so much for answering my question. I have spent the last week since finishing them obsessing over them to anyone who will listen to me! I would love to see a book with Piper and Rush getting together! (May contain the tiniest dose of spoilers the world has ever seen) On my goodness! This book was fantabulous! There were some parts I had to skip over for obvious reasons and some things that made me put dents in my walls, but Dying to Forget was still probably the most heartfelt book I have ever read! The fact that Piper was actually successful in what she was trying to do at the beginning amazes me. Usually books are about avoiding that particular urge, but this book is the perfect insight to what happens when you end up doing it. I have read only two sister series that both follows a bit of the same plot as this one and yet this book still managed to blow my mind. It showed light on a million different circumstances, issues, and topics in only 135 pages. That is a major accomplishment and I SO look forward to read the next two! PS. Could you write a little extra story about what if she went on more “assignments”? I love the real life problems in those parts. I especially love the emotions and thought that Piper shows, and some times, influences on the people she, um… Fills up? Yeah that. PPS. Also, on a totally unrelated note, the name I’m putting in is actually a sort of code name of mine so yeah. is it possible to make the whole series available in itunes? Right now, unfortunately, only Dying to Forget and I Hope You Find Me are available via iTunes. The rest of both series are on Amazon and B&N, or in print on Createspace. I hope that helps! Thank you for reading – so glad you enjoyed them! This is definitely one of my favorite series ever (which is saying something because I’m a huge series reader). I’m so excited that you are writing more books. I play to buy the novelettes and read them while on vacation. I can’t wait to read more piper willow adventures when they come out!!! Thank you so much for writing such inspiring stories! Absolutely loved these books!! Cannot wait for the forth one to come out!! Keep us updated with the date!! We’ll be waiting!! Yay! Thank you for reading!! My name’s Lauren and I’m from Scotland. I’ve absolutely fallen in love with the Station series. You are a truly fantastic writer! 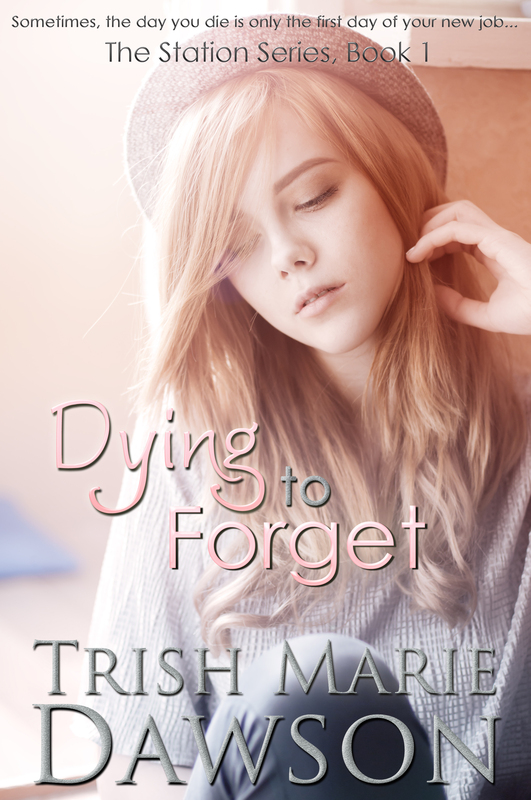 Ever since completing the first chapter of Dying to Forget, I’ve told anyone and everyone about it! I know someone who has proudly never read a book and swore she never would. I told her about your series and she read the first book in a day. Anyway, sorry for my rambling. My question was: do you plan to realise the series as paperbacks? I love your series regardless of format but I feel there’s something special about owning your favourite novels physically. What a sweet message – thank you Lauren! Firstly, I’m super excited you are from Scotland! My husband is Scottish, and I’m Irish. 😀 And secondly – how awesome that your friend read Dying to Forget! I hope she enjoyed it and seeks out more books to read for fun! 😀 The Station books are all available in print via Createspace.com or via Amazon, on their product page. They were just updated and look awesome! If you go to the Station book page here on the website, you can click on the links I mentioned to find the sales link for the books. If you have any trouble, let me know! I’m super happy you enjoyed the books, and hope you are excited for Dying to Know, which is coming out soon! 😉 Have a wonderful week! Is Dying to Know the end of the line? Now that Piper has come to grips and understands things, there has to be one last book to get a truly HEA. Please write one more. I cried. I laughed, the book made me feel something. I read the books some time ago and absolutely fell in love! After searching all over the internet, I’m so glad to have finally found these books again.